That's the topic of discussion in this short but interesting piece over at The Imaginative Conservative: Mel Bradford and the Founding. While I would agree with Bradford about the constitutional status of the Declaration of Independence (it isn't a legal document like the Constitution or statutes enacted under constitutional authority), I would disagree with him about what set behind Lincoln's appeal to the Declaration. Lincoln was not attempting to re-found the country, rather, he was trying to call the country back to its origins, to the vision of its Founders, and to the idea of ordered liberty that was at the core of the Founders' vision. The Declaration's statement of equality was not a radical and absolute equality of position for all in society, it was a statement of the equality of all human beings before the Creator. Because all men were equal in station before God, so should they be equal before the law that was predicated on the inalienable rights of life, liberty & the pursuit of happiness that come from the Creator and not the State. It was Lincoln, in the great contest of the Civil War, who was the conservative, the one who sought to walk in the "old paths." Russell Kirk understood this well, and it is a pity that his friend Mel Bradford chose not to appreciate that aspect of Lincoln's political philosophy. From Baylor's invaluable Research on Religion podcast series, hosted by Tony Gill of the University of Washington. What difference does a religious tradition make? If it is Christianity, Prof. Jim Papandrea of the Garrett-Evangelical Seminary at Northwestern University says it matters a great deal. Jim returns to our show for the third time (hat trick) and discusses his new book Seven Revolutions: How Christianity Changed the World and Can Change It Again, coauthored with Mike Aquilina. The general thrust of the book is that Christian theology introduced to the world (at least) seven new ways to envision human society, starting with the individual person and proceeding up through the state. Jim starts us off by listing the seven great revolutions introduced by Christian thought, including how we look at: the person, the home (and gender roles), work (and the laborer), religion, community, death, and (finally) the state. He also notes how Christianity promoted a “God of love” that opened the door to an inclusionary religion that shaped all of these critical areas. 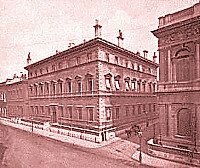 We then look into the fourth revolution — religion — more closely and Jim notes that although based upon a Judaic foundation, Christianity opens the door to proselytizing and including all peoples into one single religion. This has a major impact on how individuals and neighbors are conceived, and will impact the how early Christians opened the door to new thinking on government. We cover the reaction to this new message amongst the Romans of the day, which wasn’t always welcoming. Persecutions were common, yet Christianity kept growing culminating in its final acceptance under the Edict of Milan (313 CE). Jim discusses the role that Constantine played in this process and notes that the Edict of Milan, contrary to the notion that it established Christianity as the official church, was really the world’s first document on religious liberty. This springboards us into another one of Jim’s seven revolutions regarding the role of the state. Here we spend some time talking about how Christianity changed the notion of sovereignty by not placing the “person at the top of the governing pyramid” as the ultimate authority, but rather noting that God is a separate authority. Jim discusses how this translates into the role of citizen sovereignty and how it relates to the foundation of the US government some 230 years ago. We also take time to cover the revolutions of community (“love thy neighbor”) as well as how Christianity developed the concept of human dignity for all and how this helped change views on labor and family roles, not to mention the topics of euthanasia, abortion, and infanticide (practices common in the Roman Empire). Our conversation ends with some reflection on Christianity in the “post-Christian" era. ¡Viva el filibustero! ¡Viva gridlock! In their appreciation of the American founding, conservatives and libertarians need to recover the comprehensiveness of its understanding of man, for both external goods and those of the mind. And that means a coherent doctrine of natural right. Of course, Masugi's call for collaboration between conservatives & libertarians is premised on something which I think is very much an open issue, namely, whether libertarianism as an ideology is capable of properly discerning the line between the public & the private. While libertarian theorists generally draw the line differently than modern liberalism, many suffer from the same fundamental malady as liberalism, the tendency to make ideologically-driven category errors, in the case of libertarians assigning legitimate state functions to the private sphere. A lengthy essay on that topic by one of the master historians of the American founding may be found here: The Rhetoric of Alexander Hamilton. The author, Forest McDonald, does a very good job dispatching some of the gross distortions of Hamilton that have persisted since the radical Jeffersonians took it upon themselves to poison the record regarding this most uniquely American founding father. Far from seeking to create a centralized government based on greed and corruption, Hamilton sought to ensure that balanced government would be motivated by virtue, natural law and the principle of proper and precise debate over public policy issues. More than most of his countrymen, he doubted that the experiment could succeed; more than any of them, he was dedicated to making the effort. He perceived clearly that political rhetoric of the highest order was necessary to the attempt, for such is essential to statecraft in a republic. Now, we hear a great deal these days about the public’s “right to know.” That is a perversion of the truth, even as modern public relations, propaganda, and political blather are perversions of classical rhetoric. If the republic is to survive, the emphasis must be shifted from rights back to obligations. It is the obligation, not the right, of the citizen of a republic to be informed; it is the obligation of the public servant to inform him and simultaneously to raise his standards of judgment. In adapting his style to his audience, Hamilton was fulfilling his part of the obligation. Ordered liberty was the goal of Hamilton's work. And ordered liberty requires not just a right ordering of the affairs of government, it requires a citizenry oriented to both freedom & civic virtue. McDonald's essay does a fantastic job of showing Hamilton's commitment to defending ordered liberty against its enemies, using clear, energetic language grounded in the belief in morality, duty & prudential principle. You nor I may like a particular religion, or particular religious beliefs of certain individuals, but we must protect the free exercise of religion in this country if, for no other reason, than to prevent the state from dictating what is right and what is wrong. When the state defines morality, we, as people of a free society, will cease to be free. I would quibble with this argument a bit -- the state defines morality through the law all the time -- but the basic point is sound not only from a libertarian but also a conservative perspective. Aside from its theological value, religious liberty serves a critical function in limiting the power of the state to dictate moral norms without criticism. Absent religious liberty -- and coherent religious institutions within a society -- there is very little tangible limitation to the power of government. By emphasizing the autonomy of faith & by fostering an atmosphere where institutions can flourish outside of the micro-managing grasp of the state, religious liberty fosters the practice of limited government. Organized religion and religious believers function to provide an alternative voice to state power. This is one reason why one of the tells of tyranny is its hostility to traditional religion, believers & institutions. One does not need to be religious to understand this point and to come to the defense of religious believers & institutions when under attack. In an essay titled "History Under Attack," Princeton history prof Tony Grafton, former president of the American Historical Association, circles the wagons for the academic establishment here. I don't know about "history" being attacked, but the keepers of the crypt, the professional history professors, certainly are. It’s easy enough to refute individual articles of this indictment. Well, in a nation where college students' ignorance of even the most basic facts of history and civics is well-chronicled, I don't think he does very well with the refutation part atall atall, but you can read the whole thing and decide for yourself. I do give him credit for getting the indictment right, though. Perhaps the only justice in the whole corrupt enterprise is that the true believers, the adjunct professors, get screwed by the system even worse than they screw the students. Greg Weiner has an essay posted over at The Imaginative Conservative exploring the link in the thought between the two great Whig statesmen: Edmund Burke, Abraham Lincoln and the Problem of Greatness. Both Burke and Lincoln were men of conservative temperament who believed in reform through, as Weiner notes, the Whig concepts of gradual improvement and sound morality. "These are," as he puts it, "the essence of prudence." Lincoln and Burke are models of the reforming statesman, who look not to the disruption of ambition and distinction but rather to another path for excellence in reform: "prudence itself as a form of excellence worth celebrating too." As Russell Kirk was fond of pointing out, one of the key frames through which a conservative politician & statements views politics is the virtue of prudence, a virtue that enables the right deployment of the other virtues in both person and public life. And in politics, one of the key principles of prudential reform is continuity. Amen to that, Mr. President. Amen to that. Brad Birzer provides just that in this article over at The American Conservative: The Celtic Mind. 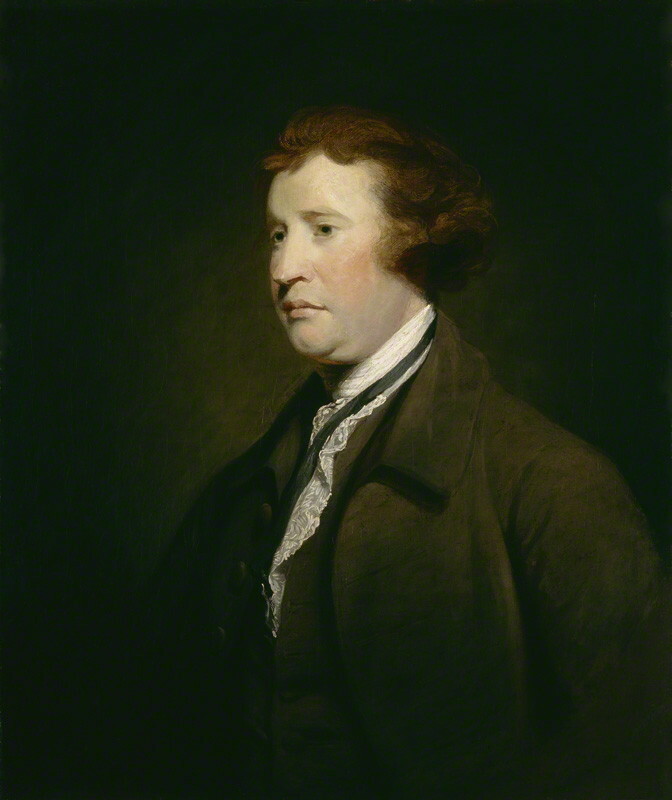 The Irishman Edmund Burke & the Scotsman Adam Smith both had a solid grasp and commitment to the Christian & classical roots of western civilization, incorporating the wisdom of the Christian faith & ancient Stoicism into their political, moral & economic worldview. Rarely is the question asked: Is our children REALLY learning "Critical Thinking?" 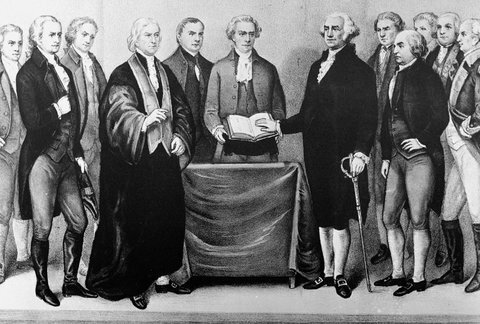 George Washington, depicted here taking the oath of office in 1789, was the first president of the United States. Fact, opinion or both? Just as there were multiple Christianities in play at the time of the American founding, so too within the Western world there were multiple Enlightenments, each differing in scope and purpose. Historian Gertrude Himmelfarb has detailed the diversity within the Enlightenment project in her book The Roads to Modernity: The British, French, and American Enlightenments (Knoft: 2005, $25.00 hardback). In this book she presents a study of the similarities and the critical differences between the various national manifestations of Enlightenment philosophy. Far from being a unified movement with a set of consistent ideological points, the Enlightenment was a varied and in many instances contradictory movement that took starkly different forms in the Anglo-American and European continental worlds. Himmelfarb's book is a very clear and cogently written account of just how and why these two schools of Enlightenment thought went off on radically different tangents. 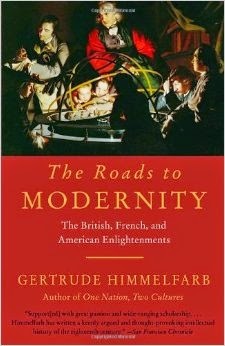 In reference to Tom's earlier post here noting the overuse of the Enlightenment as an academic marker, Himmelfarb's book does a magnificent job explaining that there wasn't simply one Enlightenment, there were multiple movements that became associated with that label spanning Europe and the New World. While religion was a major force behind the American Revolution, it wasn't the only intellectual force shaping the views of many of the most active Patriots. In addition to the various forms of Christianity (from Calvinism to Catholicism to theistic rationalism) that percolated through American life during the Revolution and the early Republic, Enlightenment philosophies from France & Britain, as well as homegrown versions, played a part in shaping public discourse and debate surrounding both American independence & the shape of our republican institutions once independence was won. Himmelfarb structures her book around the basic thesis that each of the Enlightenments manifested a drive towards a different aspect of rationalist thinking about the nature of society and the role of government in ensuring the common good. The British Enlightenment, in her view, was based on the very pressing need for social reform within the British Empire in the 18th and 19th centuries. The French Enlightenment emphasized the role of reason as an abstract and ideological concept, leveling institutions within France and in the broader European world in a revolt against tradition, custom and prescription. The American Enlightenment took place within the context of a culture that sought to foster and expand traditional liberties through a politics that was at once both moralist and realist in its understanding of human flourishing. It is the diversity behind each Enlightenment that explains the diversity in paths that each society took into the modern world. Himmelfarb gives pride of place and treatment to the British Enlightenment, a not surprising approach given that her primary field as a historian is British intellectual history. As she notes in her prologue, she sees the British Enlightenment as setting the stage for the French and American Enlightenments, both of which built on the accomplishments of British thinkers. The key distinctive component of the British Enlightenment, as she explains, is the idea of virtue. Rather than abstract reason, the British Enlightenment focused on instilling virtue, and not just personal virtue but first and foremost social virtue. Reason for the British had an instrumental role, as Himmelfarb explains, serving the propagation of virtue within the population. Once this point is understood, the full panoply of the British Enlightenment can be seen -- and movements and persons often seen as outside of the Enlightenment tradition (such as religious reformer John Wesley & the early Methodists, or Whig statesman and grandfather of modern conservatism Edmund Burke) come into focus as pivotal players in the British Enlightenment project. The portions of the book that discuss the French & American Enlightenments are considerably shorter and lack the punch and vitality of the larger section of the book dealing with the British Enlightenment. This is unfortunate, because Himmelfarb's analysis of the French Enlightenment tends to follow a more conventional narrative than her truly enlightening (pun intended) discussion of the British Enlightenment. Unlike the British, who viewed moral sentiment and social virtue as forces independent of reason, the French fell into the trap of assigning to abstract reason the blade-edge of an ideology of revolution and violence. As a result chop, chop fell traditional institutions, moral intuitions & ultimately human heads in the bloodbath of the French Revolution. Himmelfarb's discussion of the American Enlightenment focuses on its distinctive quality: a focus on political liberty that built off of, rather than opposed, the religious values and institutions of colonial and early republican America. As she observes, "[t]he abiding strength and influence of religion was such that even those who were not themselves believers respected not only the religious beliefs of others but the idea of religion itself." While the Americans worked to prevent a national established church after independence, the government was supportive of voluntary religious expression and action. Church and state might be separate, but such separation "did not signify the separation of church and society." In fact, as Himmelfarb observes, religion was strengthened within society because it did not have to rely on direct and overt government support. Throughout American colonial and early republican history, religion was linked to freedom, and as such thrived in the environment of the American Enlightenment, with its emphasis on ordered liberty. Far from being an enemy of Enlightenment values like science and reason, religion in America was webbed through with the Enlightenment, from Cotton Mather through the advent of American learned societies under John Adams and Benjamin Franklin. The picture of the Enlightenment in America is far from perfect, as Himmelfarb takes pains to point out. While religion and the Enlightenment were closely connected, there was little embrace within America as a whole for people on the margins of society, notably the poor, Indians and African-Americans. The poor were often seen as purposefully indolent, lazy louts in a nation were land was for the taking on the frontier just beyond the boundaries of the settlements furthest west. Indians, as Himmelfarb details, were thought little better than savages, fit only to be educated for assimilation. Founders like John Jay raised their voices against the treatment of Indians by settlers, warning that the whites were on their way to a far deeper savagery than that typically ascribed to Indian communities. Such warnings largely went unheeded. As with Native Americans, America also wrestled with the problem of its enslaved African-American population. As with the Indians, both economic and social interests mixed with racism to complicate the relationship between the dominant population and the marginalized slaves. White supremacy polluted efforts to move towards emancipation, and concerns about the economic ramifications of emancipation kept many abolitionists quiet. When the Quakers brought forth a petition calling on Congress to move towards the abolition of slavery, the only major Founder to publicly support the effort was an aging and ailing Benjamin Franklin. Even as ardent an abolitionist as Alexander Hamilton did not move forward because of concerns about how such a proposal would impact the finances of the young American Republic. James Madison refused to support it because he was, as Himmelfarb delicately puts it, "ambivalent about slavery itself." Most surprising of all when it comes to slavery is Jefferson -- the man who next to Franklin often is seen as the paragon of the American Enlightenment. Jefferson, the man who wrote so eloquently about the natural rights of man to life, liberty and the pursuit of happiness, was steadfastly opposed to any plan for immediate emancipation, favoring instead a plan for the ethnic cleansing of American-Americans from the United States. Jefferson called for colonies of freed slaves to be established far from the United States, because the two races, white and black, could never in Jefferson's view be able to co-exist with each other in social peace. Madison was such an enthusiast for this plan that he called not only for it to be applied to slaves of African ancestry, but all blacks in the United States. Even freemen were to be expelled from the land of their birth. Himmelfarb provides a brief discussion regarding how this contradiction in the American Enlightenment, of freedom for some but not all, would only be resolved through Lincoln's work and the triumph of the Union during the Civil War. Himmelfarb's book is an insightful and detailed look at the three Enlightenments that took place within western civilization in the 18th and early 19th centuries. As she notes in her epilogue to the book, the British, French and American Enlightenments are still with us -- that much of our political, legal and social cultures are still shaped by the fundamental values and priorities and weaknesses of each of the different Enlightenments. While other ideas are present in our public lives, modernity itself was brought about by the three Enlightenments and their effects. 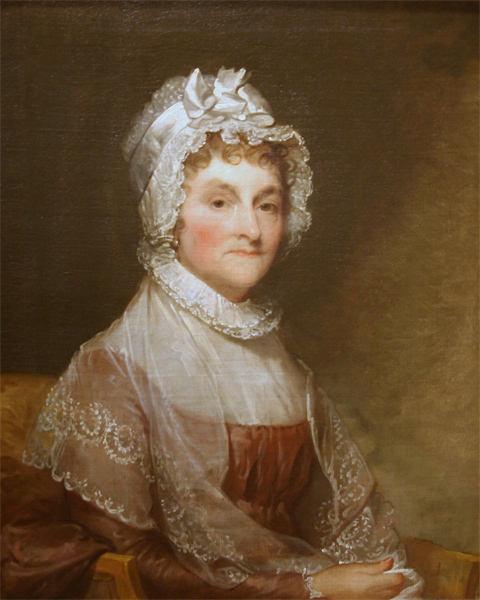 As she writes at the very end of her book, "We are, in fact, still floundering in the verities and fallacies, the assumptions and convictions, about human nature, society, and the polity that exercised the British moral philosophers, the French philosophes, and the American Founders." Indeed we are. Indeed we are. I have been a conservative all my life, and I can tell you it's nature, not nurture. I remember dutifully if half-heartedly supporting my lifelong-Democrat parents' Mondale pick for the '84 campaign, upstream against my good Reaganite chums. Otherwise, I remained uninterested in politics. Instead, it was moral principle that moved me. When my high school held mass detention for students who didn't sell enough magazine subscriptions, I wrote a scathing letter pointing out the irony of punishing poor fundraisers by paying teachers not to teach them, while sending the rest of the tuition-paying students home on a school day. Writing against abortion in the school paper, I was short of breath from the palpable sense of injustice. When I discussed it with the faculty advisor, I could not help my eyes from welling up. And I squandered my prime debauching years at college by debating theology and finding my faith. My youth was what is now called "privileged," a label issued with a sneer. Pity. For it is only when one isn't choking on personal grievances that it is possible to dialogue with moral principle. I think of this when those sworn to protect the Constitution scoff at its principles, offering instead to write a check against a bank of presumptive grievances. When leaders won't trade in principle, we never see whether they have any funds. When no principle is offered, it is impossible to judge it good or ill. Recall Senator Feinstein, who, when asked if her proposal to ban firearms was constitutional, responded "I saw people [get] shot." People who accept payment in such jelly-of-the-month memberships in lieu of principles get what they deserve. Leadership demands more. The republic was founded on a set of principles, offered to and approved by the people. And, at one time, it was thought that principles formed a sort of compact between the people and their representatives. "Such a man will devote himself entirely to the republic," said John Adams in 1803, and "although he may give offence and create enemies by them, he will set death itself at defiance, rather than abandon his principles." These days, that compact is an endangered species. It's sometimes spotted in Kansas, and we wonder what's wrong with it. Tim Kowal is an attorney in Orange County, CA. You can follow him on Twitter at @timkowal. #1: Richard Rodriguez on Pope Francis & "the new atheism." The self-identified Catholic gay Latino sometimes-conservative sometimes-liberal writer has a strong take on the "new atheist" movement, identifying its basic approach as a species of intellectual bullying: Richard Rodriguez: "New Atheism" has a distinctly neo-colonial aspect. Read the entire interview, and not just for Rodriguez's insights about the "new atheist" crowd. There's lots of wisdom there -- about the nature of Latino identity in the United States, affirmative action, and the desert nature of the three main monotheistic religions. He has some very interesting comments about the Catholic Church and Pope Francis, and much of the Left's obsession with sexual issues. Rodriguez, unfortunately, falls into the trap of viewing Pope Francis as being outside of continuity with his predecessors, but perhaps such an interesting and unorthodox thinker can be forgiven for falling a bit for some of the MSM spin about the Pope? #2: the influence of John Locke on Catholic social teaching. Joe Hargrave explores that topic in this piece, detailing the use of Locke in the formulation of Catholic teaching regarding private property. While Pope Francis' words in Evangelii Gaudium have gotten a great deal of attention since the publication of that apostolic exhortation, that work does not modify any of the principles of Catholic social teaching as it stands. And as Hargrave explains, that social teaching has powerful roots in the work of John Locke. #3: human dignity & the problem of the post-work economy. The assumption is that mass, multi-generational dependency is now a permanent feature of life. A coastal elite will devise ever smarter and slicker trinkets, and pretty much everyone else will be a member of either the dependency class or the vast bureaucracy that ministers to them. And, if you’re wondering why every Big Government program assumes you’re a feeble child, that’s because a citizenry without “work and purpose” is ultimately incompatible with liberty. The elites think a smart society will be wealthy enough to relieve the masses from the need to work. In reality, it would be neo-feudal, but with fatter, sicker peasants. It wouldn’t just be “economic inequality,” but a far more profound kind, and seething with resentments. There is dignity in work and such dignity is necessary for human beings to flourish. Government policy should be oriented towards creating conditions that foster human flourishing, rather than putting roadblocks in the way towards people having the ability & incentive to be self-supporting citizens. #4: the Founders & classical education -- it wasn't about Latin, it was about virtue. To a degree difficult for many modern Americans to grasp, the Founding generation was shaped by classical literature from ancient Greece & Rome. Virtually every literate person had at least passing acquaintance with the stories, myths & literature of the ancient West, and a surprisingly large percentage of Americans could read those works in one or both of their original languages, Greek & Latin. Yet, classical education in colonial and early republican America wasn't primarily about learning ancient languages, it was about training people in virtue & civic responsibility. E. Christian Kopff explores this aspect of early American education over at The Imaginative Conservative: Inspired by Liberty & Virtue: the Classical Education of the Founders of the American Republic. Tolle, lege. #5: what Abraham Lincoln can teach conservatives. Too often, Republicans have talked and acted as if the essence of conservatism is making budgets balance. It isn’t. 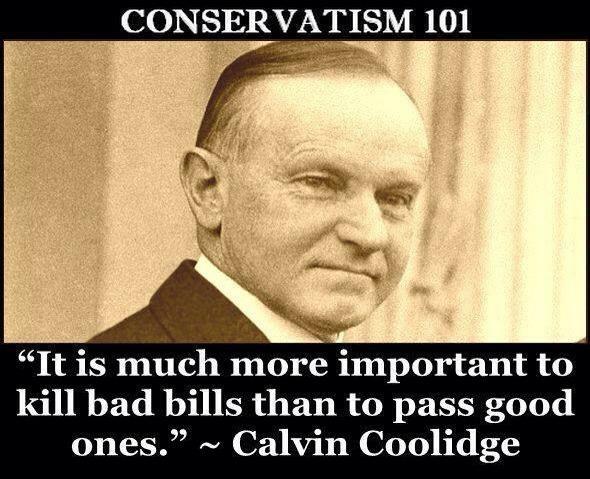 American conservatism holds fast to a constellation of virtues: liberty, industriousness, and temperance, among others. Conservatives must emphasize these, and Lincoln provides unmatched instruction in how and why to do so. We should be wary of overemphasizing the pursuit of economic growth, or, as [writer Rich] Lowry calls it, the ethic of “work, work, work.” Growth is unsettling for many. The challenge is to formulate an economic agenda that balances innovation with social cohesion. If conservatives talk only about “opportunity,” they will overlook Americans’ other vital concerns about stability and everyday satisfaction. A conservatism that fails to speak to these sentiments won’t win—and won’t deserve to. Perhaps Lincoln can be of instruction here, too. Bonus: some 80s music to get the weekend started! Religion my Friend does not forbid us to weep and to mourn for our departed friends. But it teaches us to cast our Sorrows upon that Being in whose hands and at whose disposal we are and who can heal the wounded bosom and bind up the broken heart. Letter from Abigail Adams dated January 19, 1811, reel 411 (microfilm) of the Adams Papers, Library of Congress, quoted in The Founders on Religion: A Book of Quotations, ed. by James H. Hudson (Princeton Univ. Press: 2005), pg. 111. Whose Enlightenment was it, anyway? I am skeptical about “The Enlightenment.” It is an ideologically loaded term that implies that much of the western intellectual tradition before The Enlightenment was “dark.” Much of that tradition was, of course, Christian. “The Enlightenment” presupposes an arc of history toward secular democratic scientific liberalism. I encourage students writing research papers to see if they can talk about intellectual trends in the eighteenth century without using the term “Enlightenment.” If your work is directly engaging the status of “The Enlightenment” as a historical category, fine. But if what you’re really talking about is the rise of humanism, egalitarianism, naturalism, or skepticism, then why not just employ those terms and avoid trotting out “The Enlightenment”? Henry May’s classic book The Enlightenment in America remains the best place to start on the movement’s influence among the Founders. May notes that the pragmatic, common-sense Scottish Enlightenment, with its relative friendliness to Christianity, was the most influential strand of Enlightenment thinking in American history. For better or worse, the term “The Enlightenment” will likely remain a staple of the history of western civilization for the time being. I imagine that most professors who teach western civ or world history will keep including a day or week to discussing it. But hopefully the criticisms of the term and of its adherents have brought much-needed clarity and circumspection to its use. Here's a good observation over at the Volokh Conspiracy law blog that originalism in legal theory is a method and not an ideology: There's no originalist consensus, but that's okay. Originalism isn't about pat answers, it is an approach to thinking through issues of constitutional and legal meaning when direct guidance from the text of the law is lacking. Libertarian legal scholar and law professor Randy Barnett makes that point in this op-ed over at The Washington Post: "Judicial engagement" is not the same as "judicial activism." Taking as his starting point an op-ed by George Will (discussed on this blog here), Barnett correctly identifies the real problem with modern liberal jurisprudence: its tendency to misinterpret the Constitution, leading to the courts striking down laws that are perfectly constitutional. Barnett then goes on to develop a distinctively libertarian approach to the role of the courts in limiting the powers of Congress and the state governments. 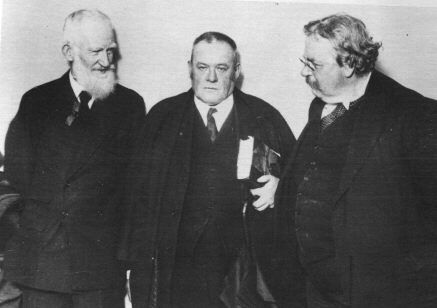 While I would not go nearly as far as Barnett in arguing for using vague and generalized constitutional provisions to strike down specific governmental actions under long-recognized powers to protect public health, safety and welfare, his point is well-worth consideration when evaluating various theories of judicial reasoning. There is always a risk that judges -- and politicians too, but that's another post -- will conflate their own ideas &amp; policy preferences for the Constitution. It is precisely for that reason that judicial restraint is a key prudential aspect of judicial reasoning. However, restraint is a prudential principle -- when the clear text of the Constitution demands that the courts intervene to protect the people from the abuse of power, then the courts are duty-bound to move, and move rapidly, to protect individuals and institutions from governmental over-reach. Epstein holes libertarianism below the water-line with that observation, grounded as it in in the prudential understanding of human nature that undergirds not only the classical liberal approach to politics but also the conservative approach as well. Like its kissing cousin modern liberalism, libertarianism in practice denies the existence of sin or evil within human nature. And this denial has a host of concrete policy implications, as Epstein explains. The holdouts -- the anti-social and violent that will always be part of human society this side of heaven -- make a libertarian vision of society based purely on voluntary non-aggression impossible. Given human nature, such a society would invariably result in the strong preying on the weak, the sociopathic running riot among the decent. Indeed, it will not be society at all, but rather will be a state where human community will be dissolved to the point of, to use Thomas Hobbes' phrase, "a war of all against all." As the Prophet Isaiah teaches, the wolf will indeed one day dwell with the lamb (Isaiah 11:6), but only when the fullness of God's reign is established. Until that happy day, human beings live in a fallen and sinful world, where the State is sometimes necessary to restrain the wicked and encourage virtue. 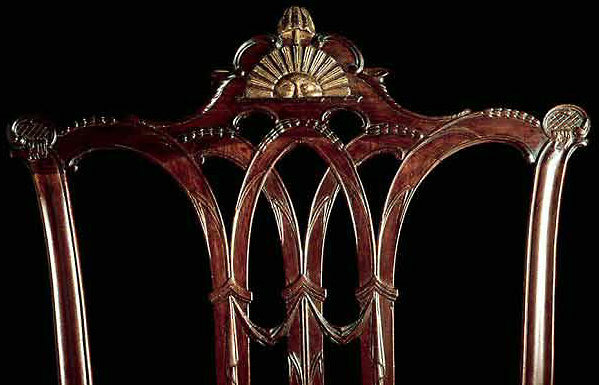 At the debates framing the Constitution, the end of one government and the birth of a new republic, Ben Franklin is said to have looked at Washington's chair. "I have often looked at that behind the president without being able to tell whether it was rising or setting. But now I... know that it is a rising...sun." A glance at this blog's archives shows that as principled argument fell out of fashion in 2009, the victim of majoritarian power politics, we slipped into a prudent hibernation. There is little point whispering into a howling wind. Some 5 years later, as the end of that era approaches, the prospect of a new dawn, a rising sun, obliges prudent people to arise from their slumber and to recall their dreams. If and when that dawn breaks, it will be a time of both restoration and reform. Principles will be back in style. The classic typing exercise--so laughable in these sophisticated times--comes to my fingers. How did it go again? Ah. Watch this space, and click around the site, take a look around. Pour yourself a drink. If you like what you see, bookmark us at newreformclub.com and don't be a stranger.